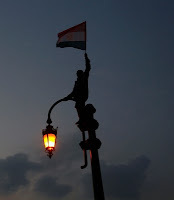 Did you notice that little thing going on in Egypt over the past few weeks? Apparently, there is some kind of world changing event happening. 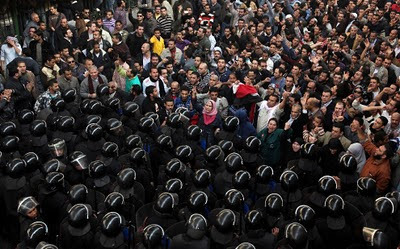 Hundreds of thousands of protesters have filled the streets of Cairo, with joint protests happening all over the country. Despite crackdowns on domestic and foreign media outlets, the world is attentive to the actions of a broad and largely united swath of Egyptian citizens. Right before our eyes, a thirty year old US backed dictatorship is being dismantled by a startling display of people power. This is fascinating history in the making. I think we should be asking ourselves how games can be involved. No, I do not mean we should all create Egypt protest themed Minecraft levels in solidarity - although that might be a great idea. What I would like to see are games, quickly created, that address significant topics issues. I want some fast response game design. No one can design a triple-A game overnight, which means this task must burden the shoulders of indie developers out of necessity. We need quick think pieces, meant to foster conversations and criticisms amongst the gaming community, not treatises on the future of platforming design. Indie developers certainly have the capacity to create astounding works in shockingly small lengths of time. Just two weeks ago, roughly 6,500 participants in forty-four countries created nearly 1,500 games in just one weekend during this year’s Global Game Jam. The design teams, many of which met at the events for the first time, created startling displays of creativity and ingenuity in a mere forty-eight hours. Considering that protests against the Mubarak regime in Egypt are ongoing, surely there is time left to create a puzzle-platformer about his rise to power? Need inspiration? 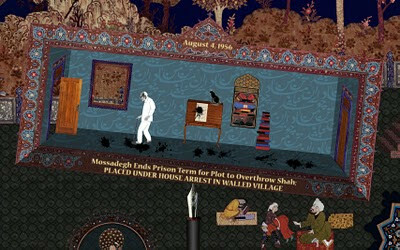 Check out Peter Brinson’s and Kurosh ValaNejad’s The Cat and the Coup, a documentary game nominated for this year’s Independent Games Festival later this month. 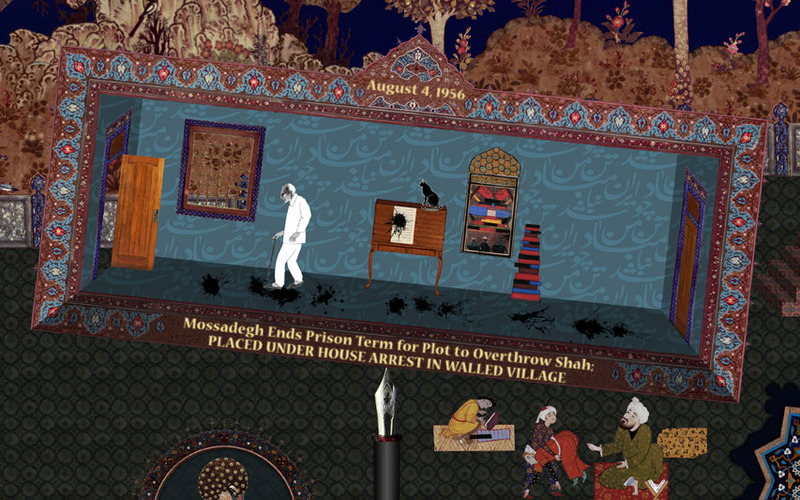 The Cat and the Coup explores the 1953 CIA orchestrated coup against the democractically elected Prime Minister of Iran, Mohammed Mossadegh. It might not be particularly timely, but it certainly is political. Collectively, we are missing out on an excellent opportunity to explore pertinent political themes that will absolutely affect our lives. The world is changing all around us, every day. We can tweet about, why can’t we game about it? I've been mulling over what kind of games the Egyptian protesters could be playing together to become more organized and aware of what's going on. Though after reading about Mubarak's puzzle-platformer rise-to-power game, now I'm wondering about subversive games that would be released by ruling party. Information based could be fantastic. I'm also working through Reality Is Broken, which has some problems but is pretty interesting. As for subversive games, even that would be interesting. Have you read, by any chance, "Newsgames" by Bogost/Ferrari/Schweitzer? Didn't find the time to read the book yet, but Simon Ferrari had a lengthy article in the latest edition of "Kill Screen", in which he discusses Asi Burak's and Eric Brown's "Play the News". So I guess the book will talk about this as well. Maybe this could make for an interesting read for you? I think the power of gaming is amazing. I actually knew someone who wanted to sign up for the army after playing the PC version of America's Army (which is designed by the army to get recruits). 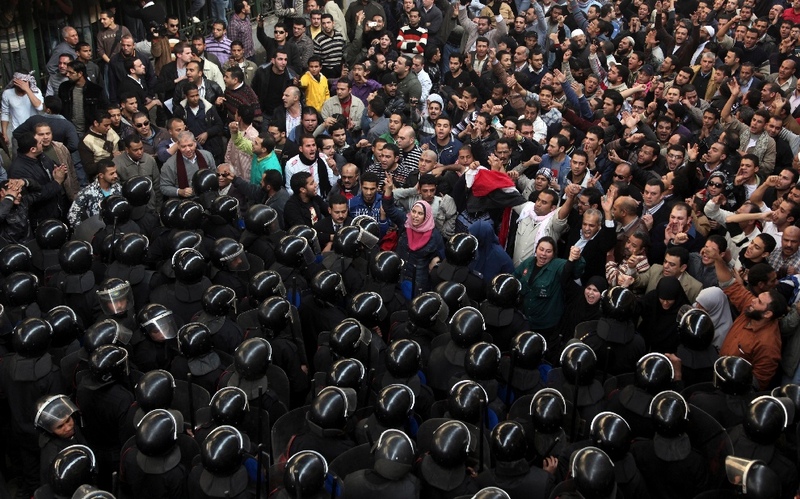 Aside from video games lets hope for a swift resolution in Egypt and for the safety of the Egyptian protesters. ...slightly less cynical, what's the point? To educate? I say "wait for the facts and get the whole story". To entertain? Have at it, but don't offer the pretense of authority on a situation. I haven't! But I'm very much eager to read it. I really enjoyed the kill screen article regarding Play the News as well. I'm actually really hoping to earn an internship this summer working with Games for Change, headed by Asi as well. Wow. I always presumed America's Army was a failed attempt at marketing. Go figure. Well said. I would encourage something, anything really, to come out quickly and have something interesting to say on topical and political events. Which means, yes, pretense of authority should be abandoned. That being said, having well informed authorities on a particular matter weigh in or educate through game design could be fantastic. Noam Chompsky RPG anyone?